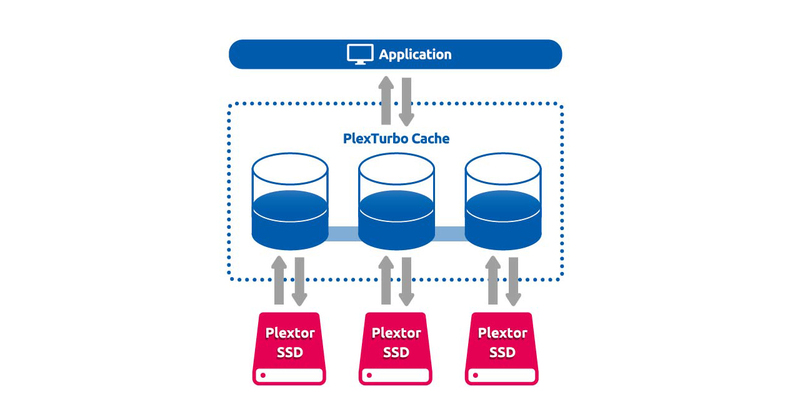 PlexTurbo is PLEXTOR's exclusive development of an intelligent “Smart Cache Technology”, using system RAM to greatly accelerate the SSD’s storage performance. 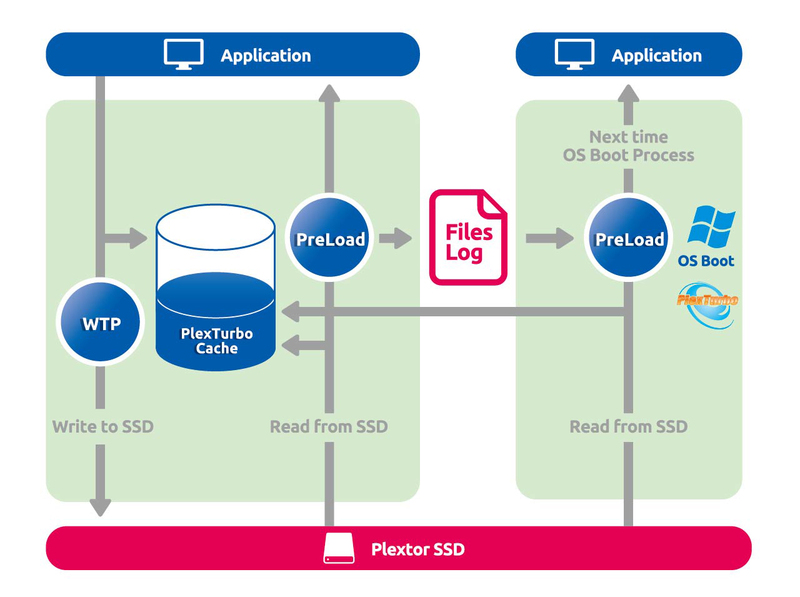 In addition, PlexTurbo boosts the service life of the SSD and significantly increases access speed as well. After your PC boots up, the programs running before the last shutdown will be automatically preloaded, reducing the waiting time of running the programs. 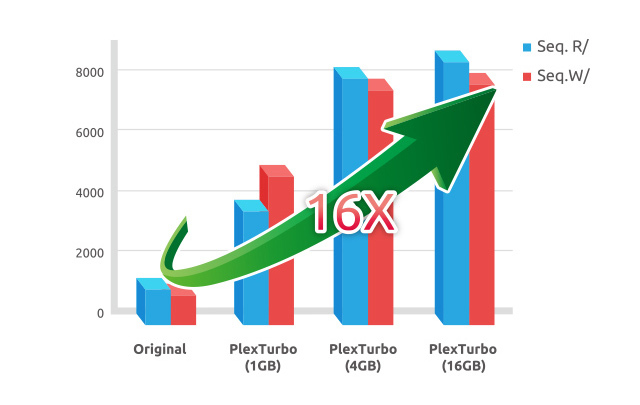 PlexTurbo also provides automatic load balancing that supports multiple drives and interfaces. 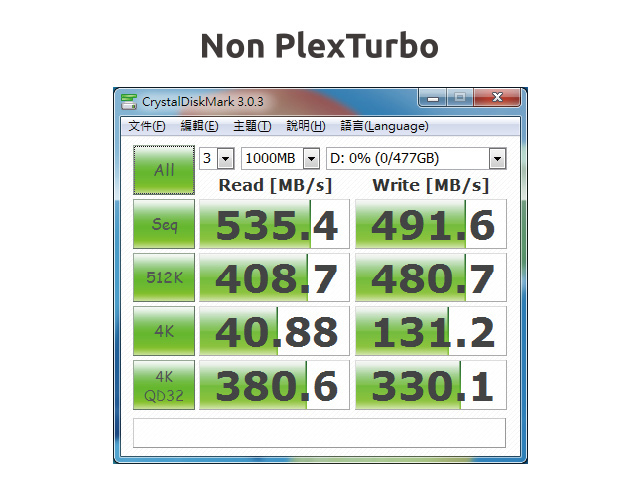 Even if you use two or more PLEXTOR SSDs, you will still be able to use PlexTurbo. 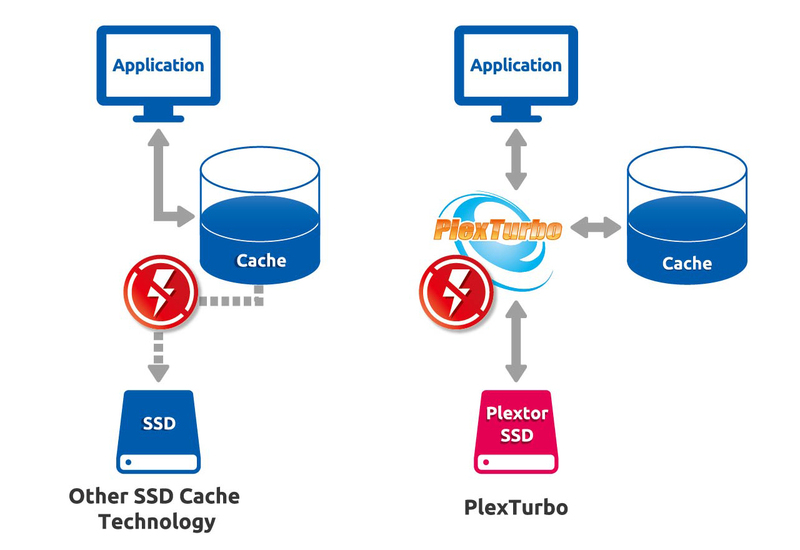 PlexTurbo includes an Intelligent Boost Engine® (IBE) technology to automatically detect hot data (frequently accessed) and cold data (occasionally accessed) and applies the best caching patterns to read or write files faster than ever. 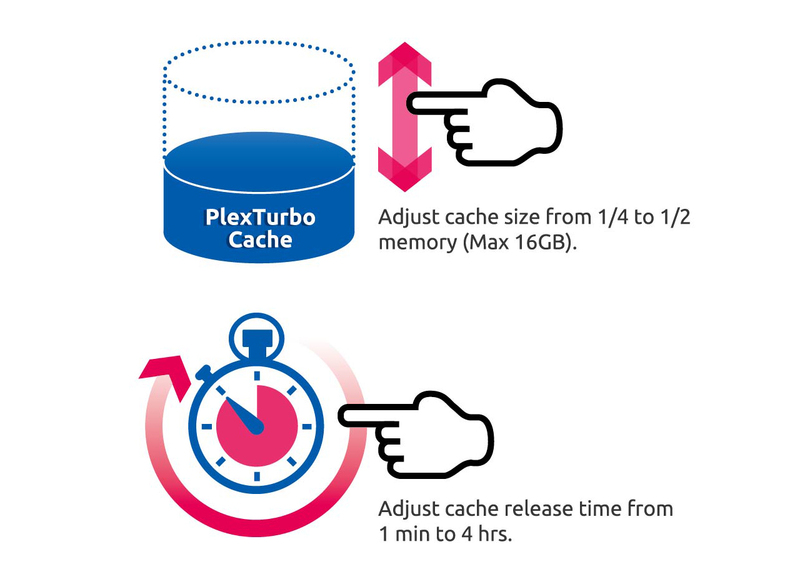 PlexTurbo can save the latest data and preload it in cache when you boot up the next time. This advance technology can shave precious time off when reading and opening files. CPU: minimum 1GHz clock rate or above is needed, Intel i5 or higher is recommended. RAM: minimum 2GB, 8GB or more is recommended. OS: supports Windows operating systems only, Win 7 / 8 / 8.1 / 10 (x86 / x64). Does not support PAE mode. Does not support external disc drives. If there is no 4K partition alignment, it will affect the acceleration results of PlexTurbo. 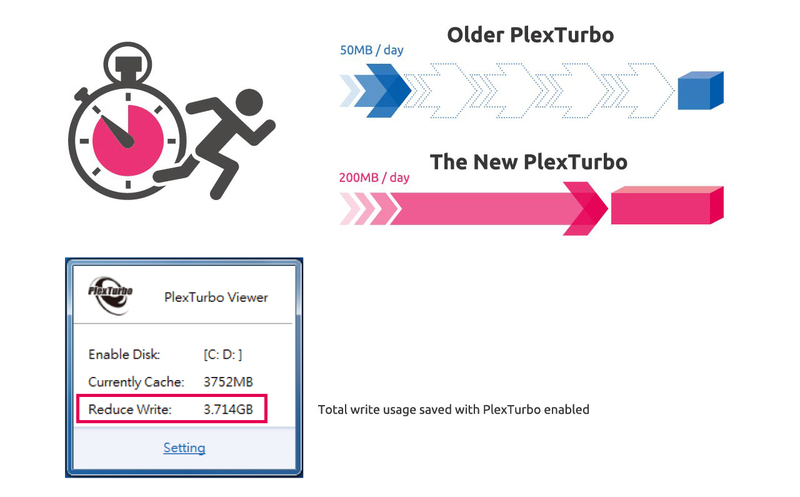 PlexTurbo makes exceptional use of DRAM resources. Therefore, if the performance and quality of the DRAM affects system stability after starting PlexTurbo, it is recommended to increase the amount of the DRAM or manually adjust the caching of PlexTurbo to be 1/4 the size of the system DRAM.